50% deposit required for a Group Booking. 7 Days written notice required for the cancellation of a group booking. Barry House is a Central London bed and breakfast offering family friendly accommodation. We are situated on Sussex Place, close to Hyde Park, Paddington, Marble Arch. Most of London’s famous sights are easy accessible including House of Parliament, Buckingham Palace, London Eye, Tower of London, Madam Tussaud's etc. . Paddington and Lancaster Gate underground stations are just two minutes walking distance from us with access to all buses to city centre. 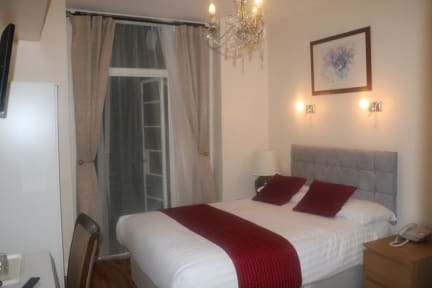 With new management, we have refurbished the whole building including new wooden flooring in all rooms, new soft furnishing and new bathrooms. 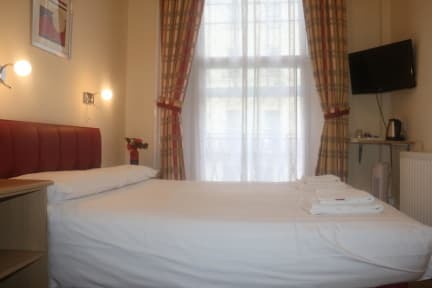 We have high standards of cleanliness and excellent customer services which is evident from the satisfaction of our guests who have stayed with us. We offer enriched continental breakfast Toasts, Tea/Coffee, Jam, Butter, Hot Chocolate, Croissants, Baked Beans, Variety of cereals, Boiled/Fried/Scrambled eggs, Orange/Apple Juice, Fresh Fruits, Cheese, fruit yogurt etc. Cancellation policy: 4 days before arrival at 6pm.